1 Dollar Homes: an Opportunity or a Scam? 1 Dollar homes up for sale! You may have come across this strange listing if you’re in the market for a new home. You definitely won’t stumble upon it on the first page of your search. But it exists, within the depths of the World Wide Web. It is perfectly natural to brush off this odd listing. An innocent mistake perhaps? Or most probably a scam to lure buyers. After all, in the digital age we live in, the internet has opened endless doors to endless possibilities. Before you decide to ignore this one-of-a-kind listing, consider the following possibilities. We bring you today the truth behind one dollar homes. 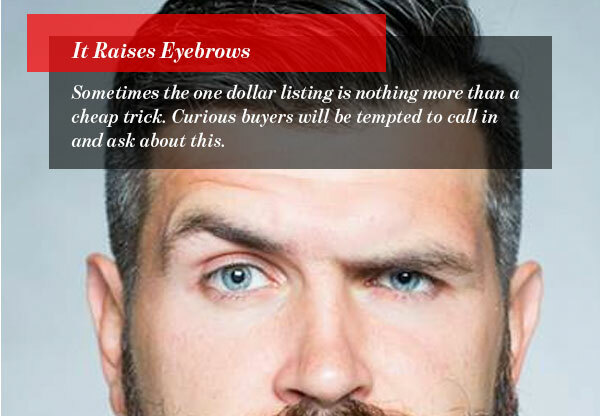 Sometimes the one dollar listing is nothing more than a cheap trick. Curious buyers will be tempted to call in and ask about this. To their surprise, the buyers would soon discover the truth which is that the house’s selling price isn’t even close to a dollar! That in fact, this was merely a scheme to raise eyebrows. The question to be asked here, however, is: why attempt to fool people? Listing a house under false pretenses should be a crime. Unfortunately, this scam will continue to plague our world as long as dishonest agents exist. 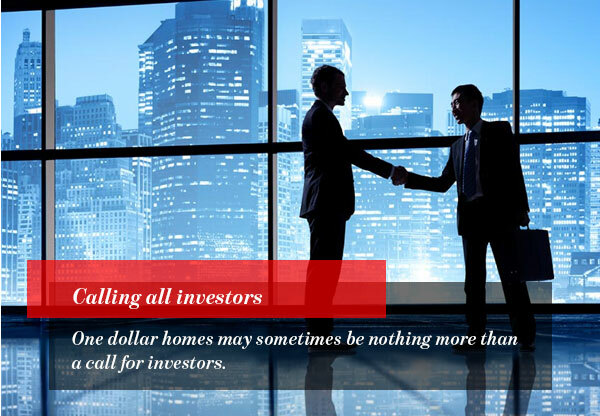 One dollar homes may sometimes be nothing more than a call for investors. Once an interested investor views the listing, they are notified that a sort of auction has begun. These don’t exactly qualify as homes, though. Since they are most likely a new development. Investment partners will then place their numbers. Like any other auction, the investor with the biggest figure wins. Of course, in this case, the figure is nowhere near one dollar. There are one dollar homes that are as legit as it gets. 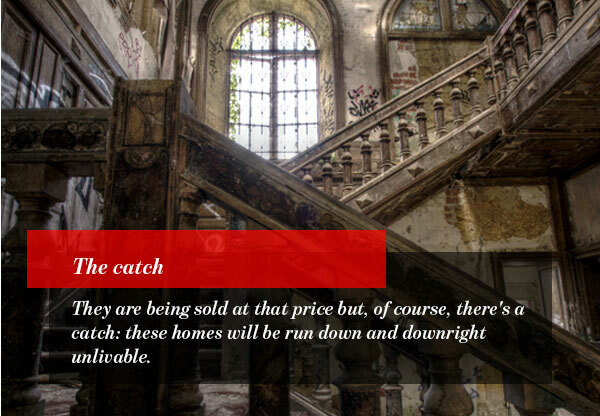 They are being sold at that price but, of course, there’s a catch: these homes will be run down and downright unlivable. A variety of disasters has manifested in these homes. From fire damage to renovations worth hundreds of thousands. Suddenly the one dollar dream will transform into a nightmare. Some of these homes are part of a US Department of Housing and Urban Development initiative. This initiative attempts to tackle the problem of abandoned homes. Because of their cheap prices, these homes are more likely to be sold out fairly quickly and, consequently, the neighborhood will improve once they are renovated and restored. Other times, the catch is that back taxes on the property are not listed. This means that although the property itself is only worth one dollar, it also comes with excess baggage otherwise known as taxes. So next time you see a listing for a 1 dollar home remember the possible outcomes. If it is a real opportunity and you are willing to put in renovation money, then why not? If you decide to buy it, weigh your decision carefully. Visit the property with a trustworthy person or company. They will help you make an informed decision about the condition of the home. You may also want to consider flipping the home. This process involves renovating the house and selling it for a profit. Though this may be a troubling process, it could be worth the effort. Once again, you should employ the help of a professional. Calculate the cost of renovation and identify how much the house could sell for. If it happens to promise a profit, then this is definitely an opportunity in the making. 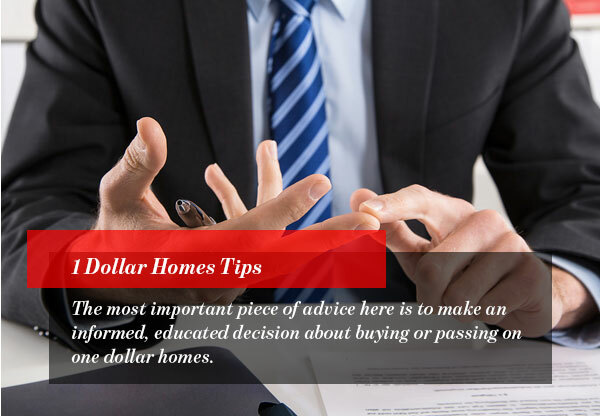 The most important piece of advice here is to make an informed, educated decision about buying or passing on one dollar homes.